The above entitled article on Reuters was written by Bethany McLean, one of the authors of the book “The Smartest Guys In The Room”, which eventually became an Academy Award nominated documentary about the wiles of Enron. The article makes for exceptional reading and is a must for those involved with the banking industry and especially those involved in risk, audit, finance and compliance. I highly recommend it to all. Please use the link below to access it. This article was originally written for and included in the ACCA Quarterly Newsletter for Financial Services, AB.Direct. “They came on in the same old way and we sent then back in the same old way”. They were the words the Duke of Wellington used to describe the repeated and futile attempts by Napoleon’s Grand Armée to break through the British defenses at Waterloo. They can equally be used to describe the current prescriptions for the subprime crisis. We remain mired in the unenviable position where those who know about banking are firmly wedded to the same old solutions, while those who don’t know about banking i.e. some in the mass media and certain politicians, resort to populist rhetoric. Sadly, the debate on the subprime crisis has generated more heat than light. It is time for something different. However, before we move forward with a new prescription we need to better define the problem. Western society is now facing economic challenges that, until recently, were almost inconceivable. Budget deficits, austerity measures and overall economic decline, in both relative and absolute terms, all appear to be the order of the day. As a consequence, the liberal democracy which the west has held aloft like a prized-possession for so long, is also now under threat. Greece and Italy are being run by appointed technocratic governments, the EU suffers from political gridlock and the US political system is in rigor mortis. Most people will either think or want to believe that all this has been triggered by the banks and the subprime crisis which they brought about. However, this is not entirely true. As a matter of fact that would be putting the cart before the horse. History tells us a slightly different story—and that is that almost every major banking or financial crisis of the past 40 years has been accompanied by great economic and political issues and events that in many instances have had a global impact. The subprime crisis was no different. This is just one example of what Clearing The Bull is all about. 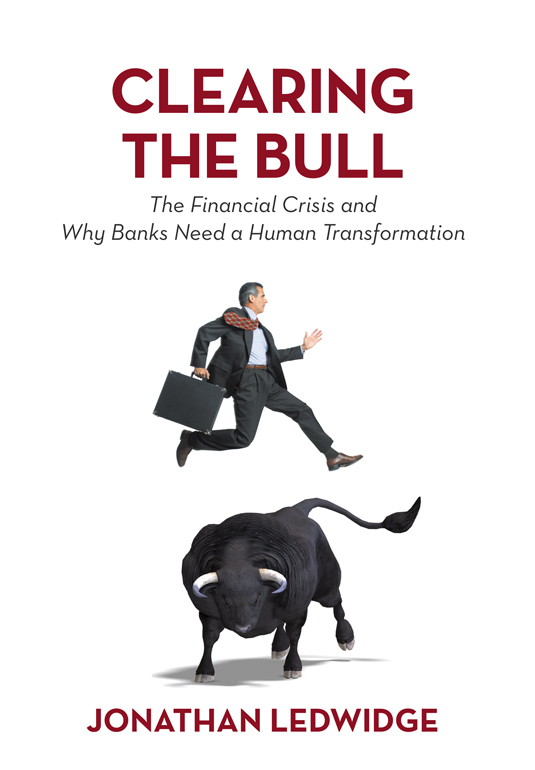 The book looks beyond the conventional rhetoric and belief systems to not only better understand the nature of financial crises, but also why banks need to do a much better job at managing both their internal and external environment.